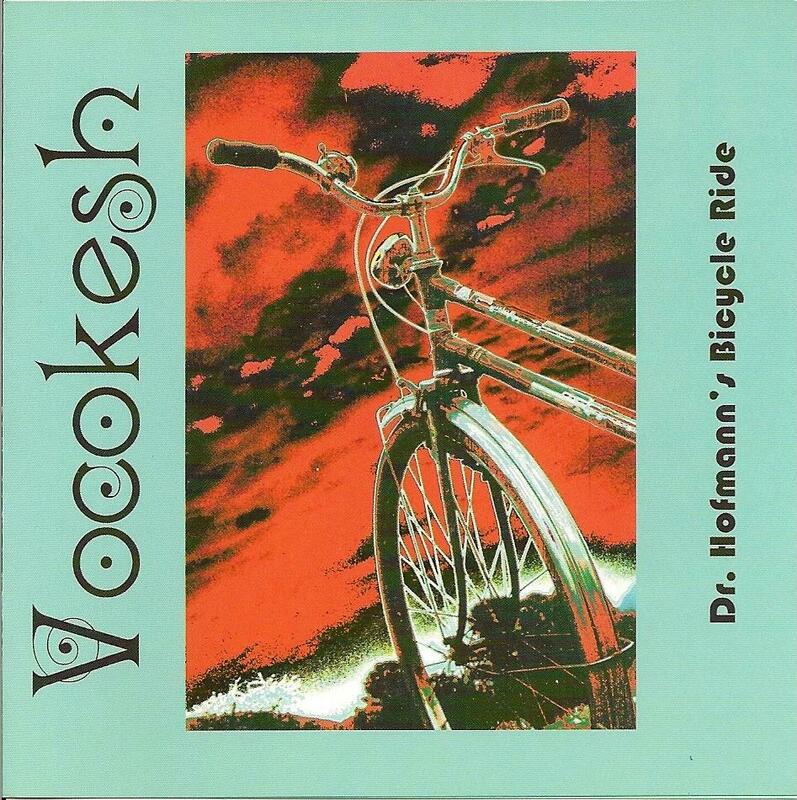 Vocokesh - "Dr. Hofmann's Bicycle Ride"
Like some of the other Vokokesh CD's I already have, such as Smile And Point At The Mountain (1995), Paradise Revisited (1998), The Tenth Corner (2004) and All This And Hieronymus (2007), this new 2010 release is just as out-standing plus there are several other Vokokesh CD's I'm just now finding out about that I never even knew existed. I saw noted in the liner notes that this disc was officially dedicated to the late Blue Cheer main player Dickie Peterson. Eight superb mind-sizzling 21st century space rock tunes here to take in. Tunes that I like best are Born To Lose, the well worth mentioning - the awesome Texas Asphalt Blues, the eleven-minute tripping Kesh #10 (Improvisation), the simply beautifully played Pretty Acoustic Piece - has some fine synth effects intact and this CD's finale - the acid-drenched - fifteen-minute title cut Dr. Hofmann's Bicycle Ride (nearly worth the price of admission alone). Couple of other tracks that I did take some notice on were The Highway Song and the somewhat familiar-sounding 1000 Pictures In One Word, as I'm almost sure I've heard this tune somewhere before - but I checked as best as I could and I couldn't find it anywhere else. Line-up: Richard Franecki - guitar, bass, electronics & sitar, John Helwig - guitar & bass and Rusty - drums. Highly recommended for fans of ST 37, F/i, Surface Of Eceyon, Subarachnoid Space, Halcyon High, Melting Euphoria and possibly Bardo Pond. As I still find time to search through the bins at any (still existing) used CD stores, I now fully understand as to why I never come across any 'used' CD's by Vokokesh - it's because all their titles are true keepers. I plan to keep this must-own CD in my current-rotation-stack for quite awhile.